Jamie is one of our favorite authors! She has done several book events at East End Books Ptown. Jamie is the author of a number of best selling books including the national bestseller THE FOREVER SUMMER (Little, Brown). The Forever Summer takes place mainly in our lovely little town of Provincetown! 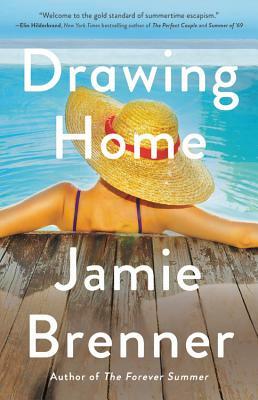 "Drawing Home" is out in May and we couldn't put this book down! An unexpected inheritance, a promise broken, and four lives changed forever: the newest page-turner from USA Today bestselling author Jamie Brenner. "Welcome to the gold standard of summertime escapism." "Jamie Brenner sketches a gorgeously evocative plot with her newest summer beach read, Drawing Home...She transports readers to the glamorous world of a Hamptons summer, where locals and wealthy tourists uneasily mingle, but where a new love, and a life filled with possibilities, waits just around the corner. "—Mary Kay Andrews, New York Times bestselling author of The High Tide Club and The Weekenders.